Jamaican music has had a thoroughly disproportionate effect on the rest of the world – an astonishing achievement for a tiny Caribbean island which has a population of just three million people. 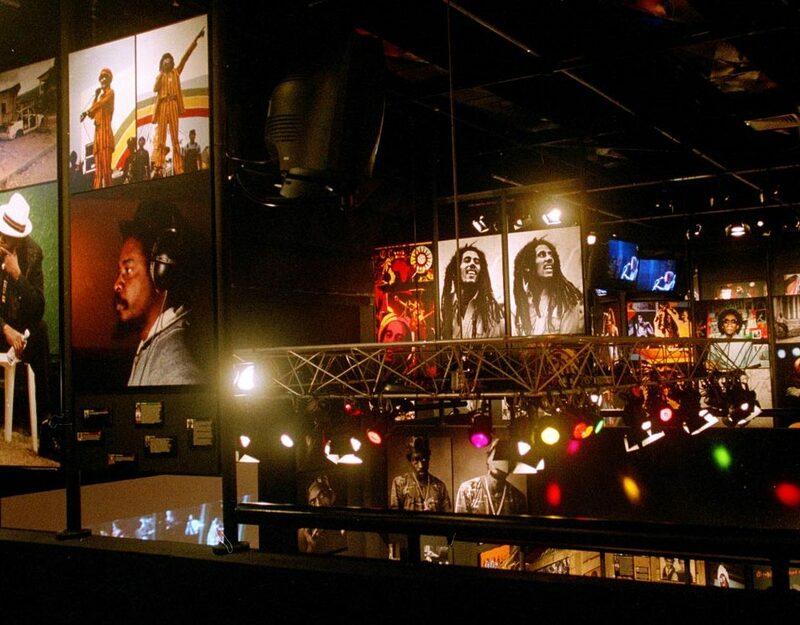 Spearheaded by the popularity of reggae and the figurehead of Bob Marley, its reverberating rhythms have found a resonance with a diverse international audience. This newly updated edition of Reggae Explosion charts the course of this extraordinary cultural revolution. From the earliest emergence in the 1950s of the fiercely competitive sound systems fighting sonic battles in downtown Kingston the story of Jamaican music is traced through ska, the birth of reggae, dub, roots reggae and the impact of Bob Marley to the new, harder-edged developments that have emerged in the last twenty years, including dancehall, ragga and jungle. 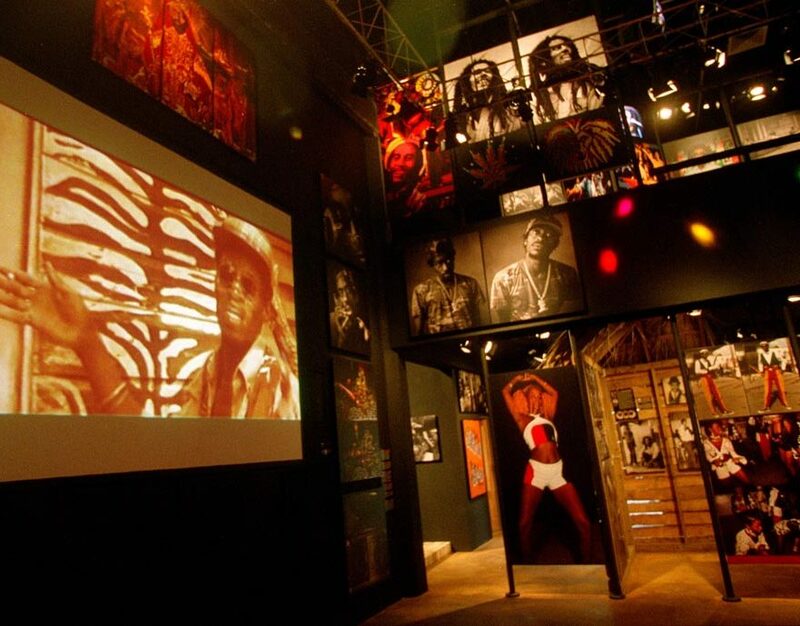 Reggae Explosion contains many unpublished transcripts of interviews with key figures like Lee ‘Scratch” Perry and Prince Buster introduce the authentic voices of reggae history to Reggae Explosion – which blends deeply researched facts and rare images to create not only a sense of the pulse of the music, but also the contrasts of poverty, humour, desperation and joie de vivre that typify both the island of Jamaica and its music. 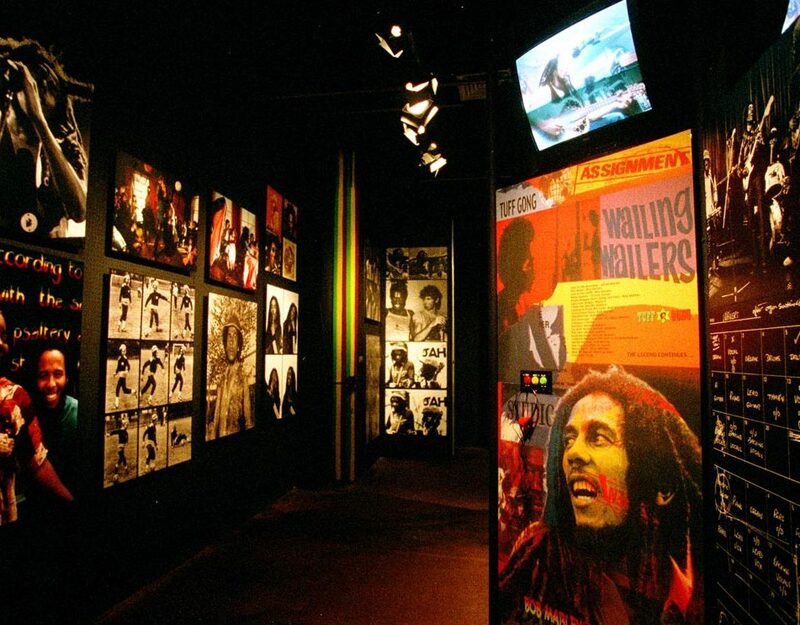 Reggae Explosion started life in the summer of 2000 as a heated argument. 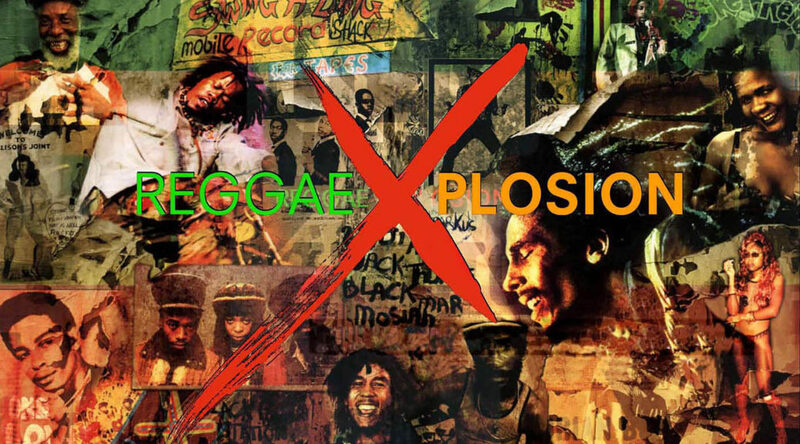 Should the project be called ReggaeXplosion or more accurately Reggae Explosion. ReggaeXplosion ( all one word ) won the day, but it didn’t last .. by the time the USA version of the book was published the name reverted to Reggae Explosion. The project was to be a book and an exhibition. 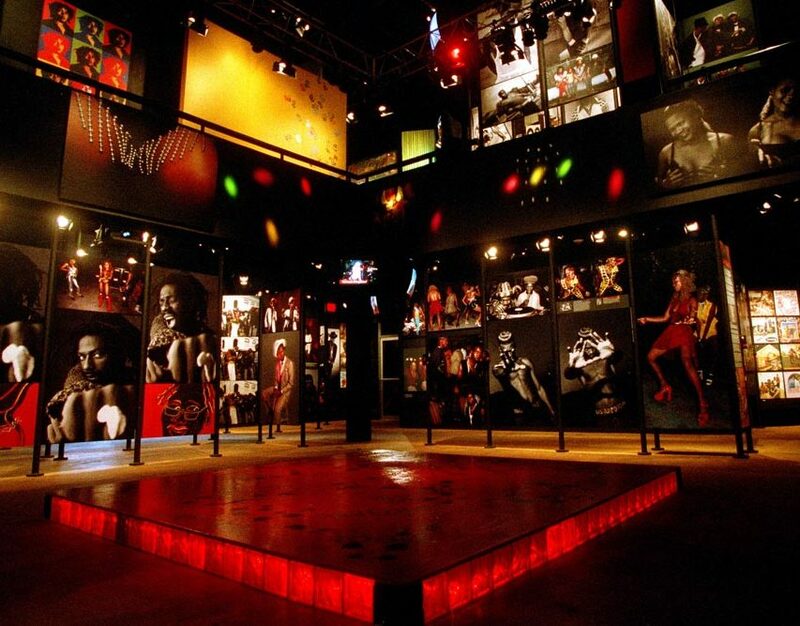 On Friday 29th September 2001 ReggaeXplosion opened with with a launch party down in the brick passages and catacombs under The Roundhouse – Camden. All of London seemed to be there and one could imagine their numbers expanded by hippies still vainly trying to find their way out of the labyrinth since back in the Sixties. The visuals are set up on the raw brick passages which radiate like spokes from the building’s central space or, a welcome touch for contributors to this site, on panels of zinc fence and corrugated iron. Rootical rub a dub sounds were provided by the Mighty Tip-A-Tone Hi-Fi to a crowd well lubricated with free Appleton Gold rum punch and Carib beer. Among the heaving mass of thirsty reggae fans jostling at the bar were spotted Mark Lamarr the radio DJ, members of Aswad, Tricky the DJ and Massive Attack associate, Gaz Mayall of Gaz’ Rockin’ Blues and all the usual reggae suspects. 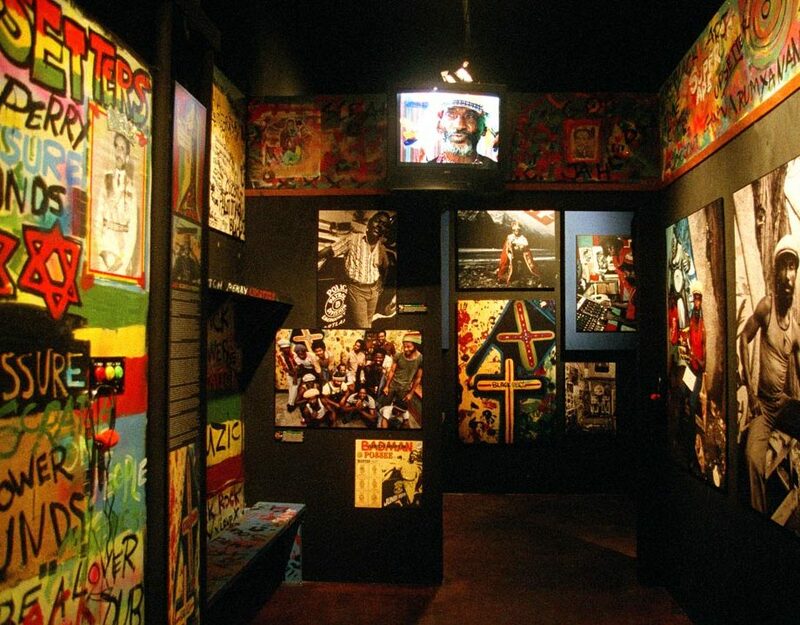 Then in 2003 the exhibition was expanded and moved to Ocho Rios Jamaica where it became the ReggaeXplosion Museum .. 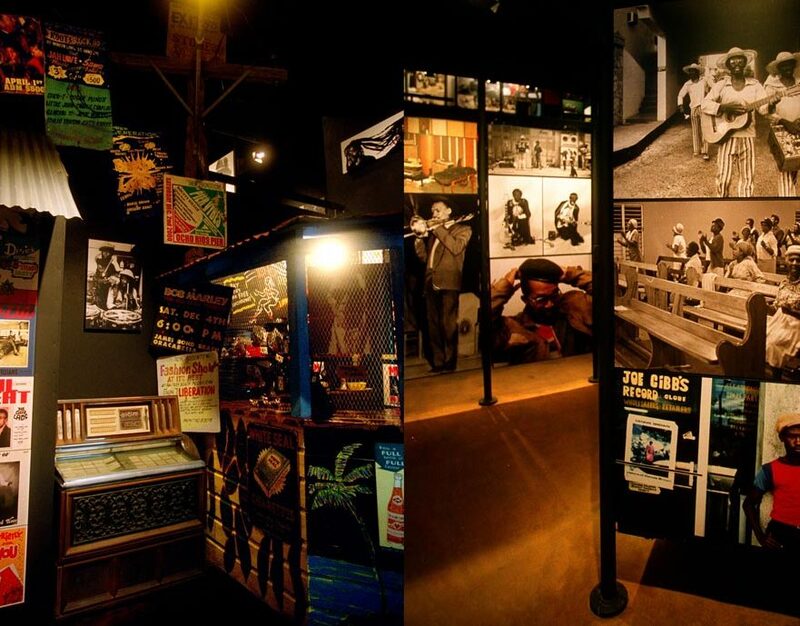 The Reggae Explosion exhibition was a major reggae event and a model of how to present reggae to a larger audience. 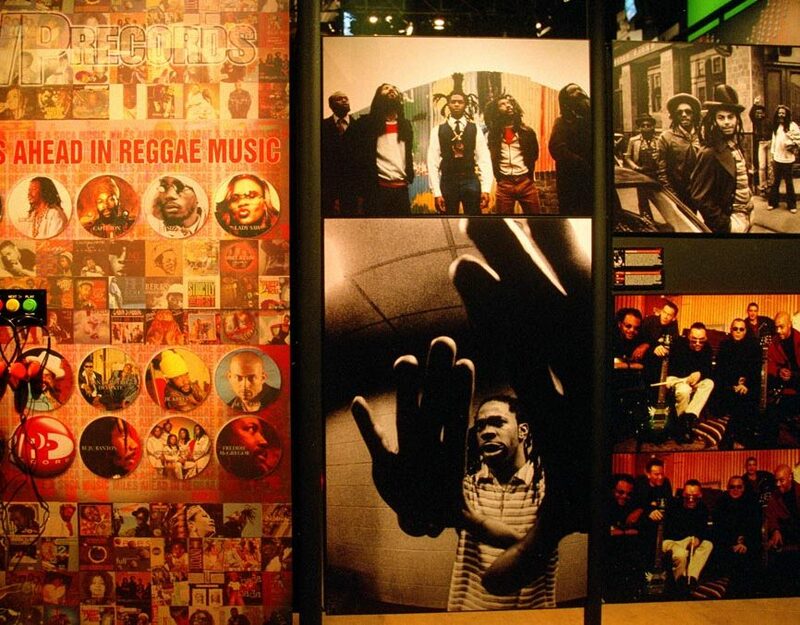 What comes across strongly is the range and diversity of the reggae experience and how much has been accomplished in fifty years by one small island. 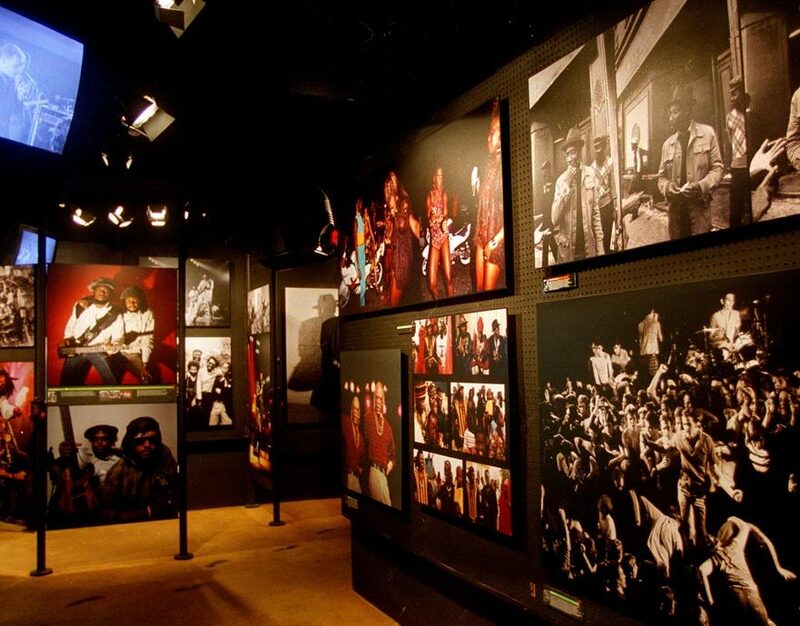 A ’50 years of cultural firestorm’. You can find these events and photosession mentioned in my Biography and Timeline. 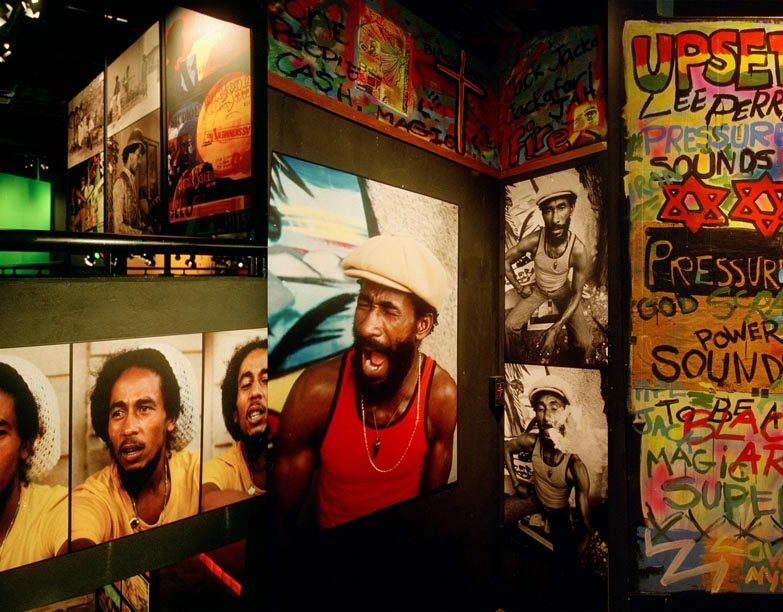 For more on Reggae Photography go to www.urbanimage.tv or click on one of the links below. 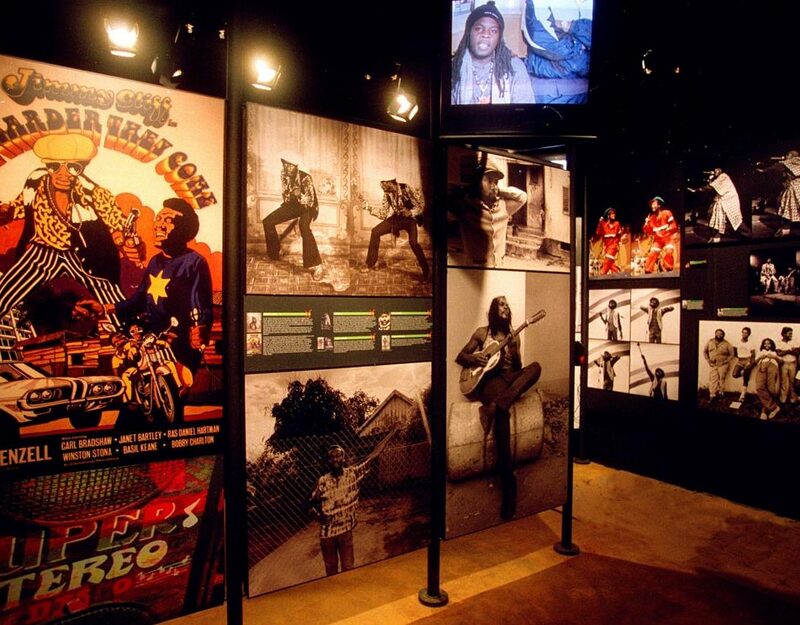 ROOTS ROCK REGGAE : The artists, stars and heroes that have all help turn Reggae into a global phenomena. REGGAE DANCEHALL : Jamaican dancehall artists, music, slackness and fashion. REGGAE PRODUCERS AND POETS : Radicals, Revolutionaries and Innovators including Lee Scratch Perry. 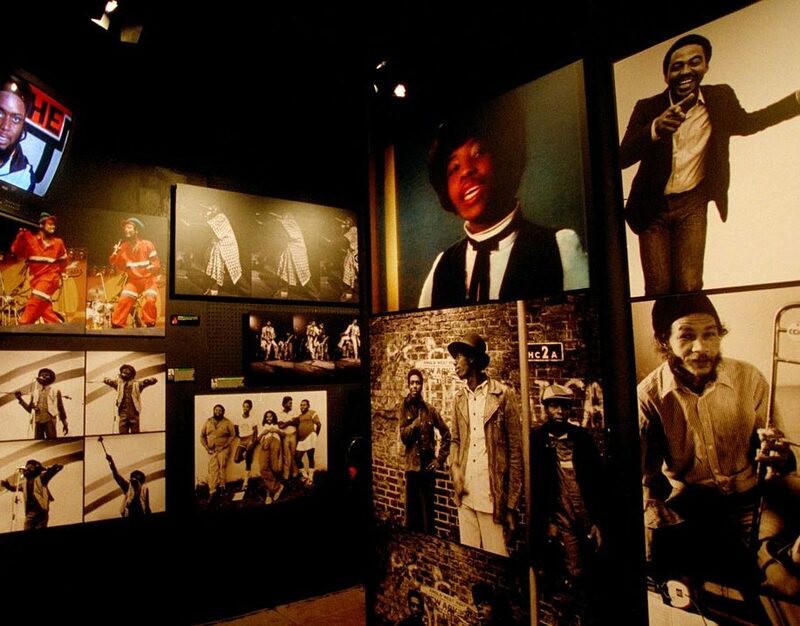 THE BOB MARLEY STORY : Bob Marley, Peter Tosh, Bunny Wailer, and the Marley family. 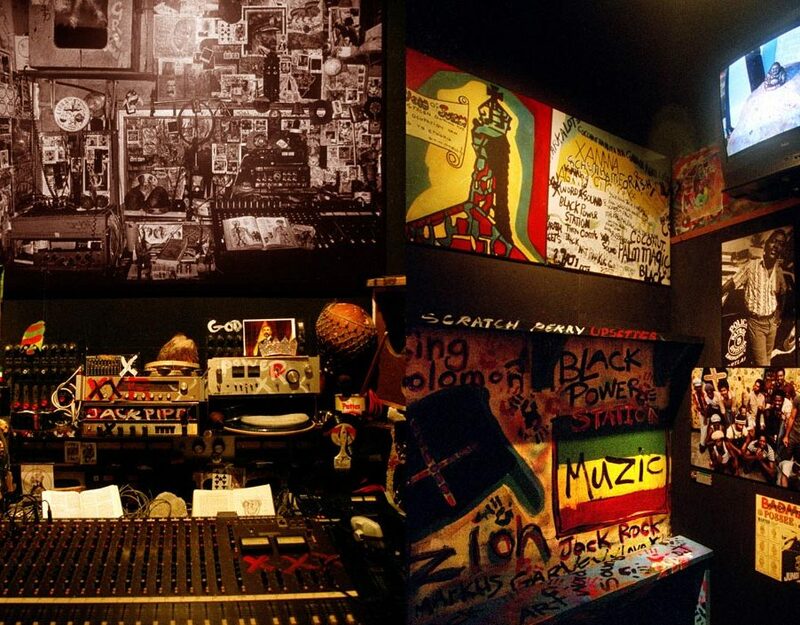 REGGAE VIBES : Jamaican Art, Record Labels, DJ’s, Trenchtown, Sound Systems, Studios, Locations and Notting Hill Carnival. SKA AND EARLY YEARS : Reggae Pioneers. JAMAICA : Urban Jamaica, Beautiful Jamaica.